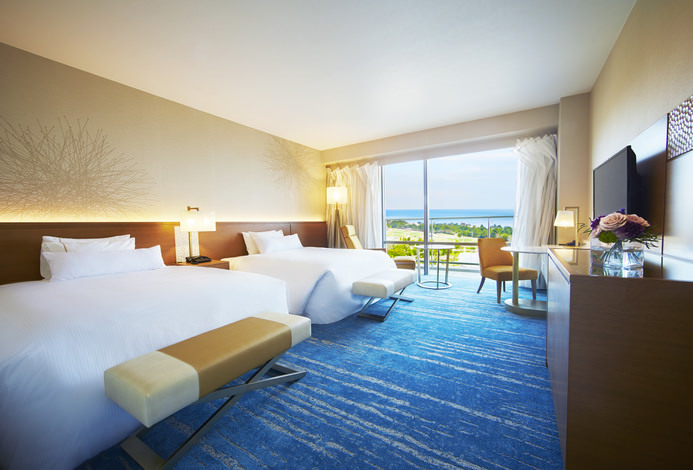 From the outdoor hot spring on the open terrace or from the side of the big window in your room, you can enjoy the view of the beautiful ocean and the sky as if it's a canvas art. You can be fashionable and choose your favorite Yukata. 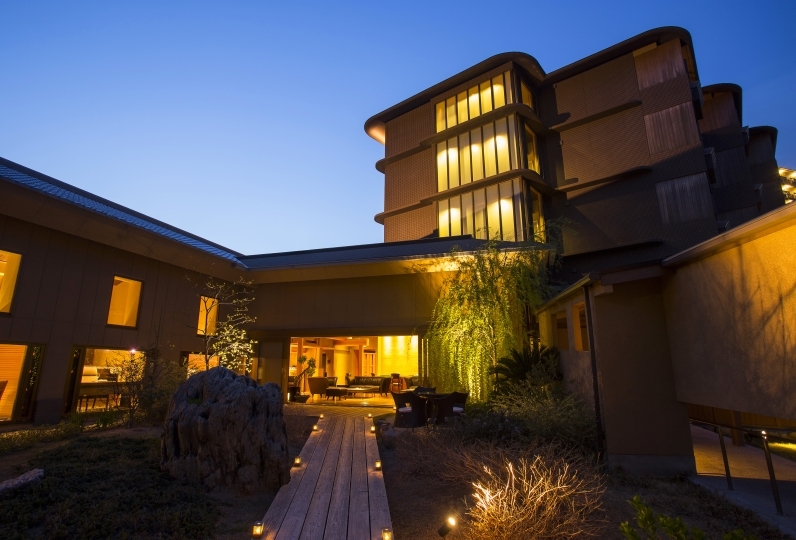 Taking a walk on the beach and crossing the corridor to arrive at the spas with the yukata will make your stay more joyful. 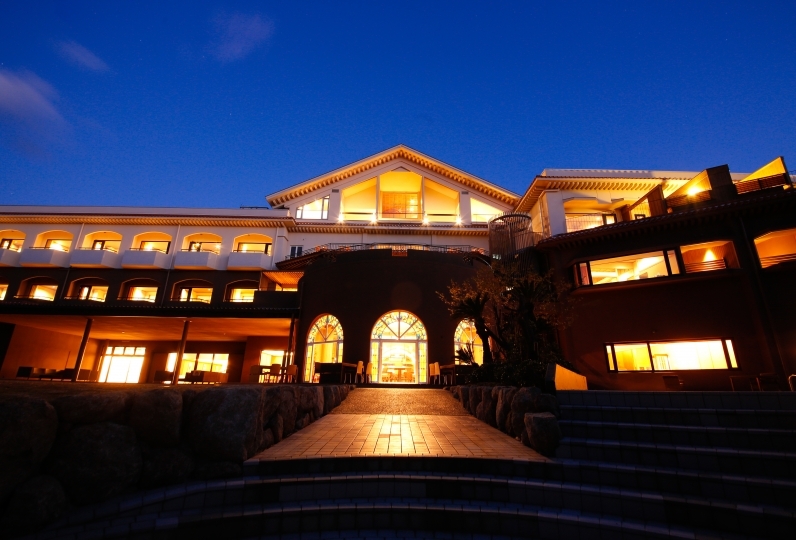 We offer an abundant seasonal seafood from ports on the island together with selected natural foods grown in the soil and sea surrounding Awaji Island. 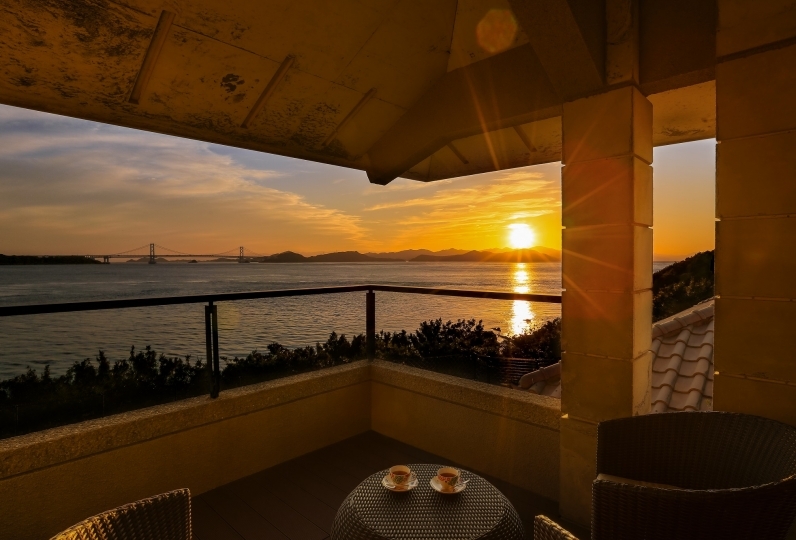 The beautiful panoramic view of the sky and ocean of Awaji Island are waiting for your arrival. Great service (including hotel staff, restaurant chief, and shuttle bus drivers)! Highly recommend as a relaxing place. A fashionable Izakaya with semi private booth, couple's seat, and various seating types. 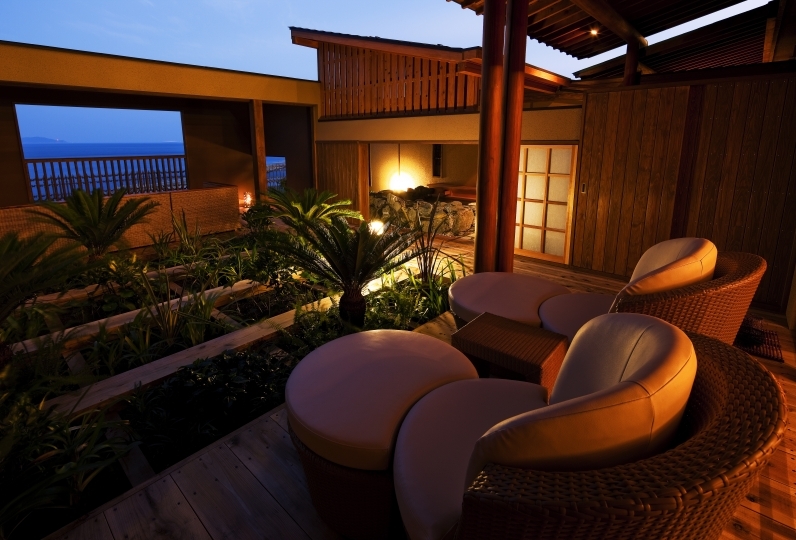 Outdoor spa which enables you to enjoy a panoramic ocean view. Listen to the waves while bathing under the starry skies. A private outdoor spa with a private atmosphere. 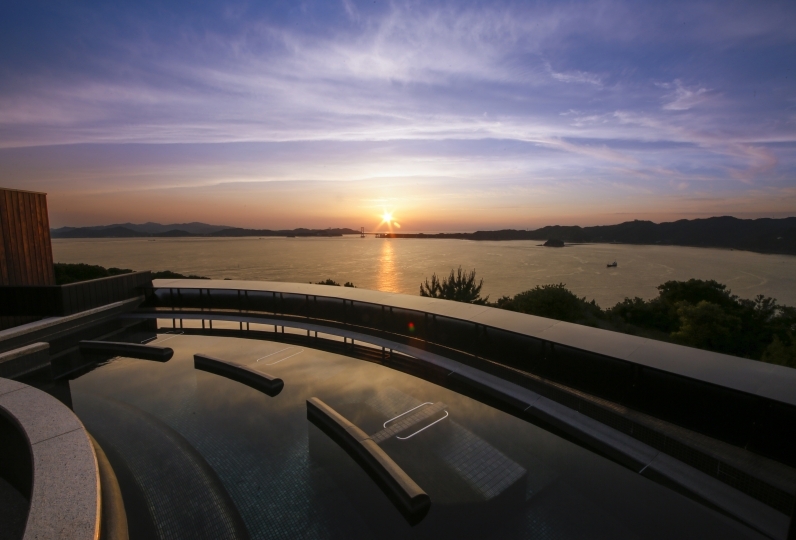 Enjoy the view of the Kitan Strait and have a luxurious time with your significant other. ※First come First serve. Thank you for your understanding. Lomi Lomi is an old Hawaiian healing massage where the therapist releases mana from their hand to release tension in the mind and body. A wood deck terrace located past the entrance. The panoramic view of the sky and sea as well as the sound of the wind and see will put your heart at ease. A cafe with a view of the ocean. Enjoy Japanese sweets, siphoned coffee, tea, flavored tea, and healthy juice. We offer free coffee, tea, and soft drinks. We also have numerous magazines, internet ready computers, and healing music. Check in and check out times may differ depending on the plan. 90 minutes by highway bus from JR Sannomiya Sta. Kobe: take a highway bus bound for Sumoto Highway Bus Center from JR Sannomiya Sta., Maiko Sta.